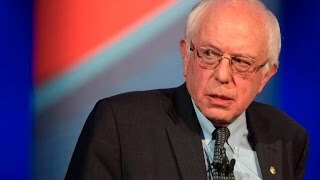 Sen. Bernie Sanders (I-Vt.) told Jake Tapper on CNN's State of the Union Sunday that he will "absolutely" introduce legislation on single-payer healthcare now that the Senate GOP's bill to repeal ObamaCare has failed. "I believe at the end of the day, the American people will conclude that Medicare for all -- Medicare is working now for people 65 or older -- let's expand it to everyone." Drone Papers: Leaked Military Documents Expose US "Assassination Complex"
WH Stenographer Who Resigned in Protest: Trump's "Not Even Trying to Tell the Truth"